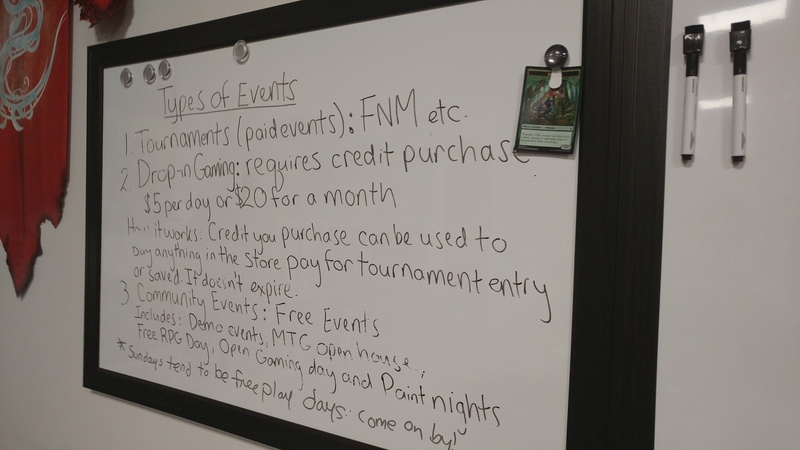 Board Game Central (BGC) has recently undergone some significant renovations after their move, but that hasn’t stopped them from providing a great gaming space and wonderful customer service. The space itself is highly accessible but has limited playing space. With that said, BGC has a unique admission structure. The tables themselves are open to play, but require a $5 admission. That $5 gets applied to a store credit that you can use to purchase anything in the store. It’s a try then pay model that Hamilton seems to love! When I went in, the tables were fully of people playing board games. The staff themselves are wonderfully helpful and go beyond to try and find the right games for you. Have questions or need a suggestion? The wonderful staff are there to help and provide you with legendary customer service. As it happens, the store is a friendly, local gaming store and doesn’t have any snacks on hand to purchase. A variety of food and drinks can be found at the food court in Jackson Square just a couple minutes walk within the Square. Parking can be found either paid on the street, or within the parking underneath the Square. With regards to community, it doesn’t seem that BGC provides an online community space for people to connect and go to game. This makes it harder to find partners to play with in the grand scheme of getting more people to connect through gaming.